Our mechanics consistently provide our customers with high-quality auto repairs. Welcome to Tri-City Chrysler Dodge Jeep Ram of Eden, North Carolina. If you’re looking for a new Chrysler, Dodge, Jeep, or RAM in Greensboro, Kernersville, Winston Salem, or just above the border in Danville, or Martinsville, VA we have a great inventory, friendly professionals and a welcoming atmosphere. Welcome to Tri-City Chrysler Dodge Jeep Ram of Eden, North Carolina. If you’re looking for a new Chrysler, Dodge, Jeep, or RAM in Greensboro, Kernersville, Winston Salem, or just above the border in Danville, or Martinsville, VA we have a great inventory, friendly professionals and a welcoming atmosphere.Come find your used car in the greater Greensboro region among our vast inventory. We have a great choice of new and used Chrysler, Dodge, Jeep, and used RAM vehicles in Eden for area residents to choose from here at the dealership. 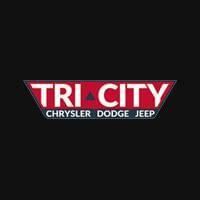 Whether it’s the Pacifica, 200, Wrangler Unlimited, Grand Cherokee, Ram 1500, RAM 2500 or Dart in Eden, we know you’ll be happy with your purchase from Tri-City Chrysler Dodge Jeep Ram. If you can’t seem to find a specific vehicle just fill out a Vehicle Finder Service form, and our staff will search high and low to hunt it down. Need a Dodge lease in Eden, or a Chrysler lease near Danvillle, VA? No problem! Tri-City Chrysler Dodge Jeep Ram has a great auto finance team that will help you get a car loan in Eden to put you in the new or used car, truck, SUV or minivan you want. Start your search for a new car lease at our Finance page. Online applications are meant to make your life easy! Eden Chrysler, Dodge, Jeep, and RAM auto repair for drivers in the Piedmont Triad is convenient to many surrounding locations. Need parts? Check out our well stocked parts department and get back on the road, and to your life, fast. We take pride in our work and are proud to be part of both the North Carolina and South Western Virginia communities. Learn more about us, and come visit us at 833 S Van Buren Road.